The latest releases, services, and new product versions. Big names and expectations highlight 2007 conferences. 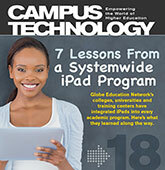 The IMS Global Learning Consortium spots learning technology satisfaction and trends. An eLearning pro’s eight rules and two insights to get and keep your students interested.